Mr. Korein's education in business and finance, combined with his previous life and work experiences in corporate, transactional, labor law, and litigation; his work as a youth counselor and athletic coach, his prior work as a warehousman, roofer, and contractor for the institutional food distribution program for the State of Illinois set him apart from his peers. He is also a drug and alcohol counselor for the Illinois Lawyer's Assistance Program. These combined experiences afford him the ability to analyze an injury claim from all angles. As a result, he has been named one of the Best Lawyers in America in the area of Workers' Compensation; recognized by St. Louis Magazine as one of the best lawyers in the area of Workers' Compensation; recognized by the Chicago Law Bulletin as a top lawyer in the area of Workers' Compensation; and also recognized by his peers as a Leading Lawyer in the area of Workers' Compensation. Before even attending law school, Mr. Korein clerked in the plaintiffs' personal injury law firm of Carr, Korein et al. off and on from the time he was 15 through the time he graduated law school (1974 - 1990). In addition to graduating with his juris doctorate from Washington University, he was selected as one of five law students from a nation-wide pool to attend the prestigious New York University School of Law in 1989. During law school, he clerked for Carr, Korein et al and two prestigious New York law firms, while simultaneously attending school and volunteering his time to provide free legal assistance to the poor through both Legal Services of Eastern Missouri and Legal Aid of New York. 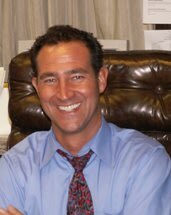 Upon graduation from law school in 1990, he began his career with the prestigious New York law firm, Moses & Singer, in their commercial practice department, focusing on corporate and transactional work; real estate law; and oil and gas rights. Two years later, he joined the boutique New York firm of Cappiello, Hoffman & Katz, which served as general counsel to the National Maritime Union in New York/New Jersey and represented injured admiralty workers and well as those injured due to the negligence of others. In 1995, he re-joined Carr, Korein, et al. as an attorney exclusively representing injured plaintiffs and worker's compensation claimants. He has been involved in many personal injury claims resulting in significant monetary recoveries for his clients. He remained with Carr, Korein until forming his own firm with Mark Glass in February of 2003. Since forming Glass & Korein, LLC, he has limited his practice to successfully representing injured workers in Southern Illinois, Central Illinois, and the St. Louis metro area, with recommendations from the United Auto Workers and the International Brotherhood of Teamsters.